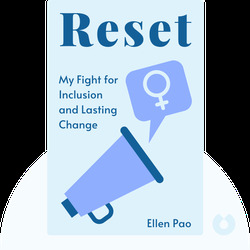 In Reset (2017), Ellen Pao recounts the story of her legal battle against venture capital firm Kleiner Perkins Caufield & Byers for discrimination. Her high-profile case caused waves in Silicon Valley, and the bravery and honesty she displayed inspired many women all over the world to share their own experiences, furthering the fight for equality. Ellen Pao currently works as an investment banker at Kapor Capital and is a co-founder of the non-profit Project Include. 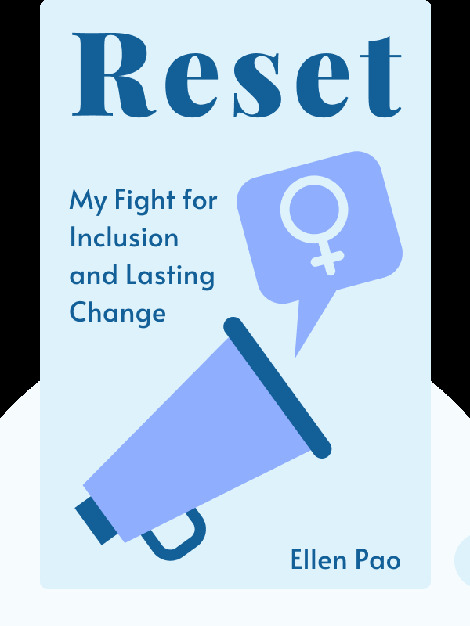 Her first and only book, Reset (2017), garnered her worldwide recognition and was shortlisted for the 2017 Financial Times and McKinsey Business Book of the Year award.